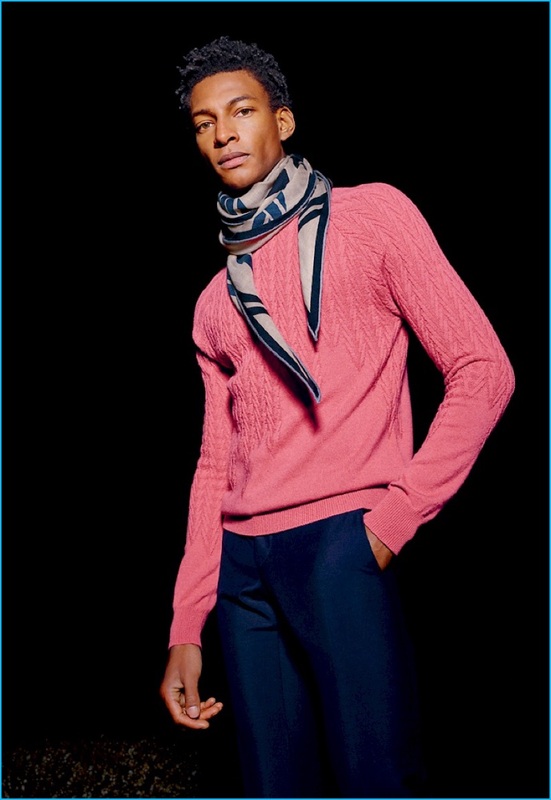 Ty Ogunkoya is a standout in a knit Hermès sweater, slim-cut trousers, and a patterned scarf. 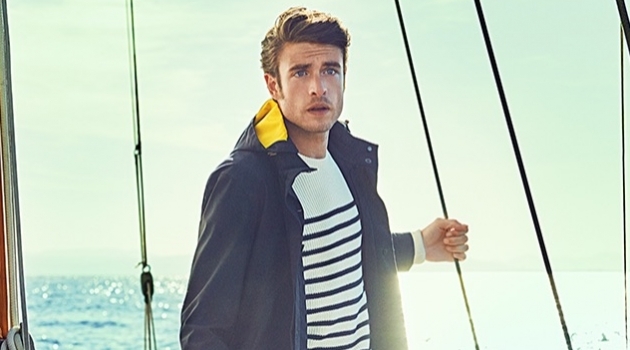 French fashion house Hermès delivers another elegant outing for fall-winter 2016. 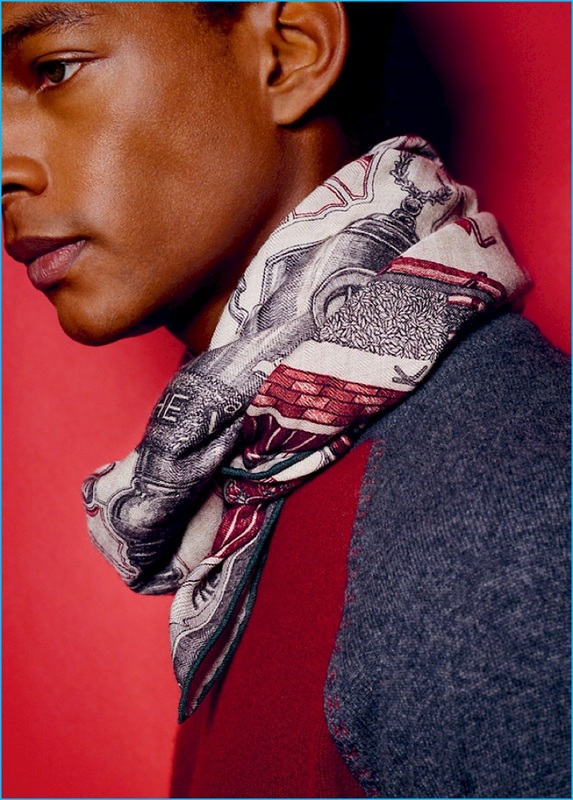 The luxury label puts the spotlight on its signature scarves and ties with a new edition of Les Cravates d'Hermès. 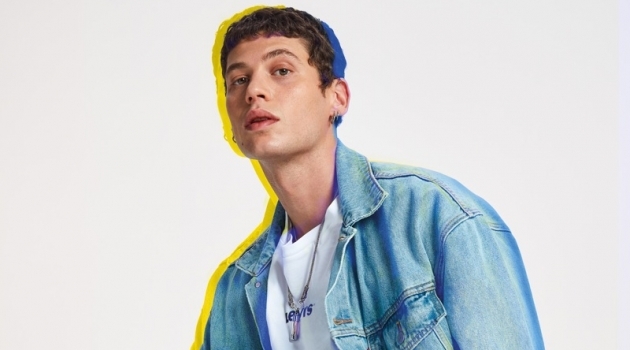 This time around, models Ty Ogunkoya and Lucas Stascheit star in the outing. Andrea Spotorno photographs the duo, juxtaposing studio images with striking pictures taken outdoors. 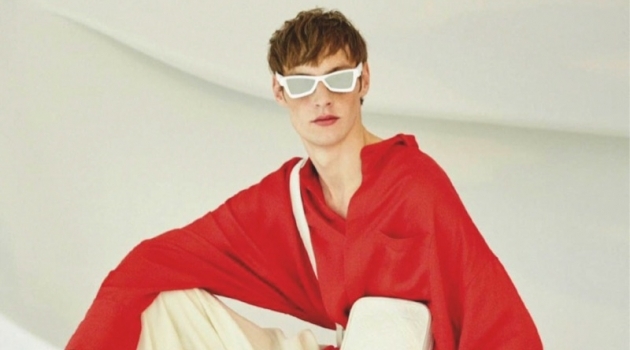 Mattias Karlsson takes up the styling reigns, accenting Hermès' scarves and ties with the brand's wardrobe of tailoring and knitwear. 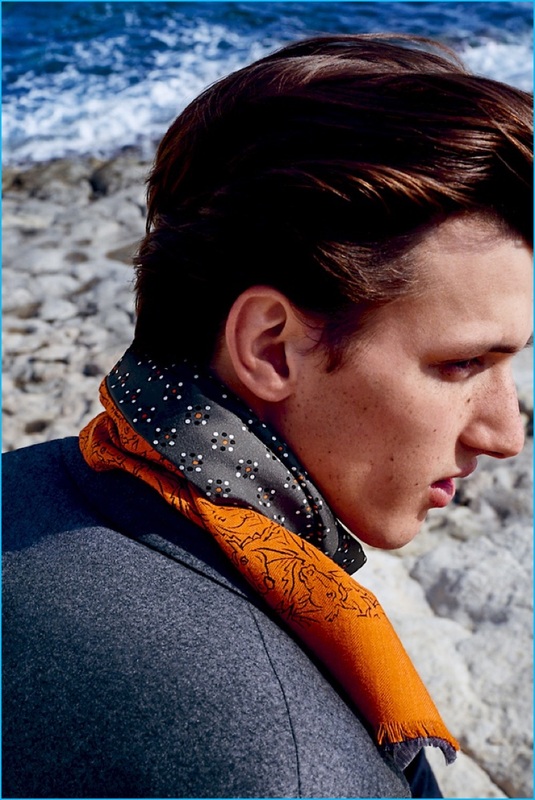 Luca Stascheit is front and center in a Hermès scarf for the fashion house's fall-winter 2016 Cravates lookbook. Venturing outdoors, Ty Ogunkoya stars in Hermès' fall-winter 2016 Cravates lookbook. 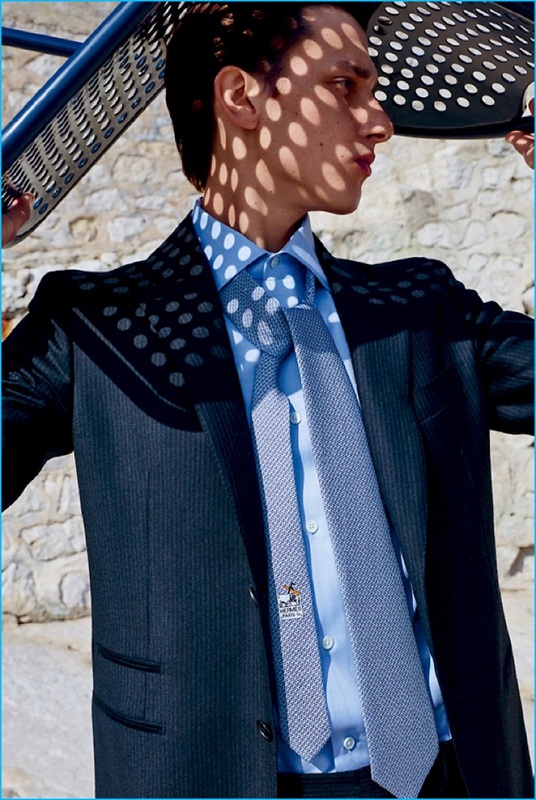 Posing in a sleek tie, shirt, and sport coat, Luca Stascheit appears in Hermès' fall-winter 2016 Cravates lookbook. 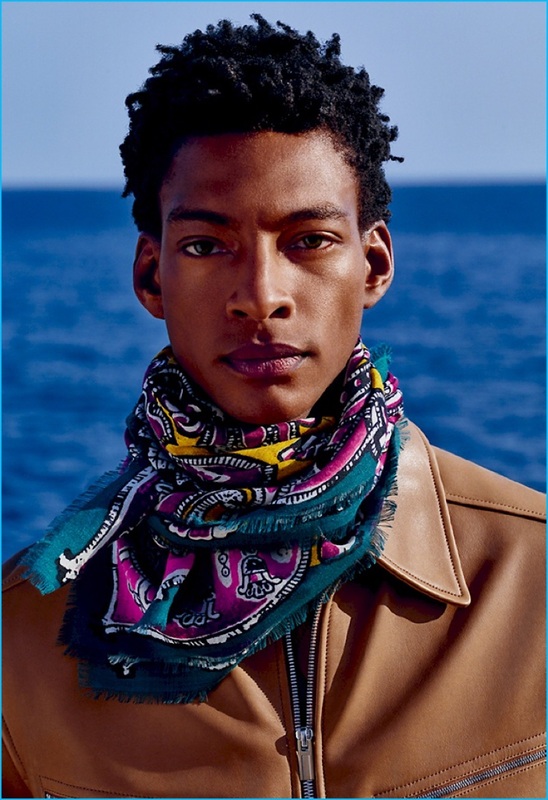 Ready for his close-up, Ty Ogunkoya wears a patterned scarf by French fashion house, Hermès. 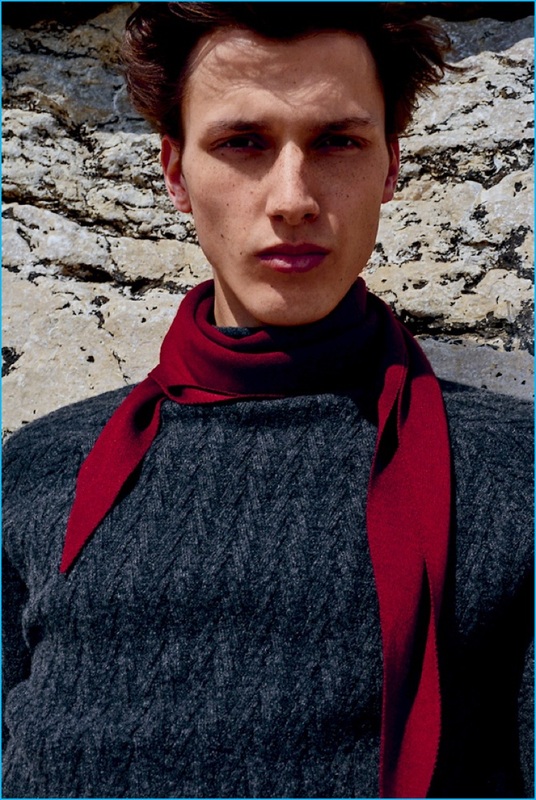 Delivering a side profile, Luca Stascheit wears a beautiful scarf from Hermès' fall-winter 2016 range.